Anyone who has ever held a brand-new penny sees that something changes in pennies over time. Put that coin next to a handful of old ones and the dull, tarnished color of the older pennies will be readily apparent. The tarnish is a result of oxidation, or the reaction between the copper on the outside of the penny with oxygen and sulphides. Potassium sulfide dissolved in water creates a solution that puts tarnish on a penny. For every five parts water in the solution, use one part of potassium sulphide. The coins need to be only briefly dipped in the solution to start the tarnishing process. Then, if you cycle the pennies through a process where you allow them to dry then re-dip them several times, they will achieve a look that looks like natural tarnish. Bleach will also tarnish pennies. 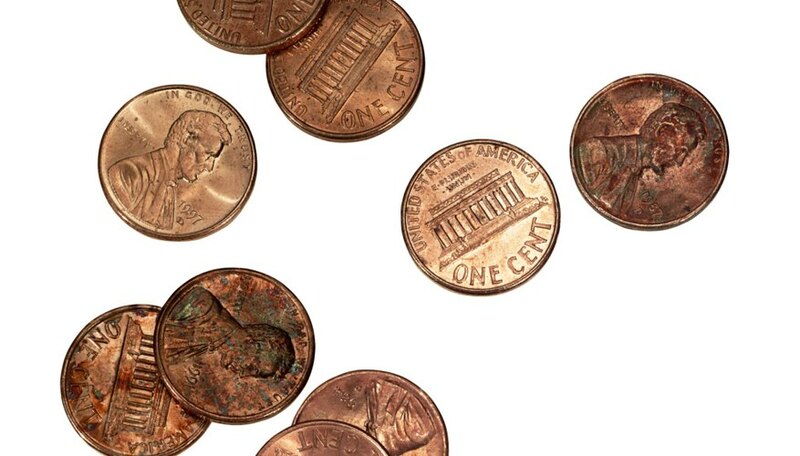 If you leave pennies in bleach for any amount of time, they will start to darken and turn green. On many older coins you will notice a combination of the darkening of the original bright and shiny copper color and spots of green. Bleach helps copper quickly and artificially attain those green spots and darkened tarnish. That same reaction is why the copper roofs of old buildings appear green. Acid speeds up the oxidation process taking place on copper. 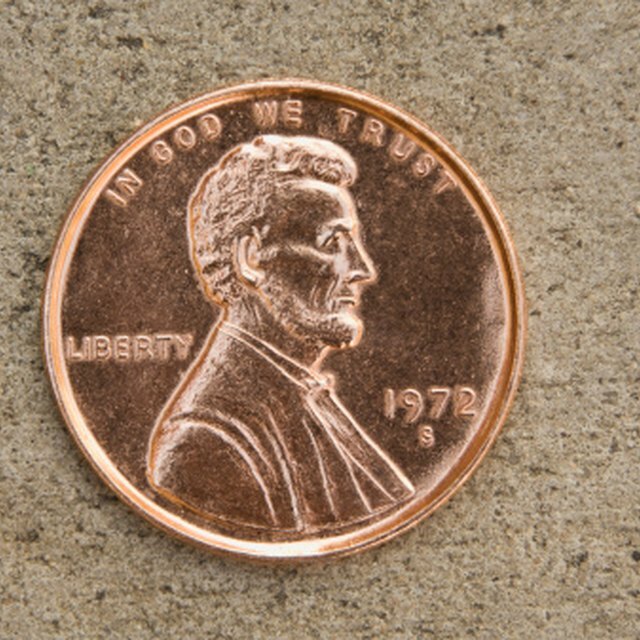 If you submerge a penny in even a relatively mild household acid, such as vinegar, it will start to tarnish. Some people recommend the use of vinegar combined with other ingredients, such as salt, to clean pennies. Interestingly, when combined with other ingredients it can have this effect, but on its own, vinegar will tarnish pennies quickly. Liver of sulphur will also create a tarnish on any copper surface, including pennies. Create a solution using approximately a half-pint of water and a half teaspoon of the powder, or a proportional larger or smaller mixture. Dip the coin into the mixture and let the liquid dry and repeat the process several times, or brush it directly onto the coin to create tarnish. What Causes Copper to Tarnish? Fredrick, Hans. "Which Liquids Will Tarnish a Penny Faster?" Sciencing, https://sciencing.com/liquids-tarnish-penny-faster-8758652.html. 25 April 2017.